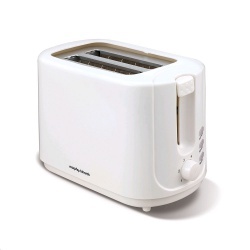 No Frills Toast with this simple but effective 2 Slice Toaster from Sona, perfect for the office or the student. The Sona Range of Small Appliances offer the best in range and value. Crafted for those looking for a simple solution, Sona is sure to suit to the needs of the busy home, a bustling office or the student leaving home. This 2 slice toaster is perfect for those wanting to grab a quick snack in the morning, or before bed. It includes a bun warmer, variable control and a crumb tray. 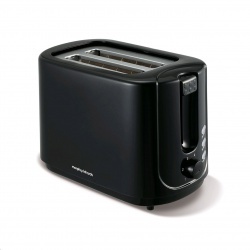 A toaster sylishly finished in a gloss black and stainless steel front with matching kitchen appliances. A number of features including adjustable browning control, reheat and facility to cancel when operating allow control and flexibility when toasting. Features also include cord storage and removable crumb tray to easily access and dispose of loose crumbs. 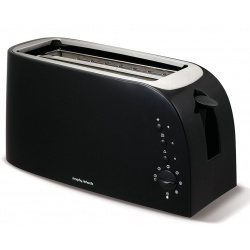 The Equip stainless steel 2 slice toaster has a stylish, modern look designed to suit any kitchen. 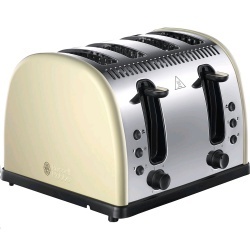 Easy to operate with variable browning control ensuring you get perfect toast, to your taste, every time. A Kenwood design with a simple aesthetic for modern living that boasts functionality to include variable browning control, cancel, re-heat and defrost settings. Peek and view function allows users to look at their bread toasting at any time without cancelling. A stylish addition to your kitchen, this 2 slice toaster in Azure forms part of our special edition Accents range available in on-trend matt paint finish. 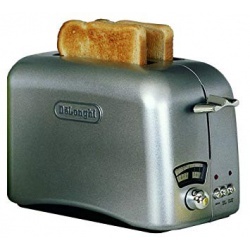 Includes frozen, reheat and variable browning settings for perfect toast every time. A stylish addition to your kitchen, this 2 slice toaster in Pebble forms part of our special edition Accents range available in on-trend matt paint finish. 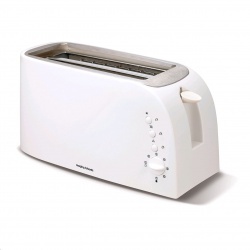 Includes frozen, reheat and variable browning settings for perfect toast every time. Ideal for toasting, this Accents 2 slice toaster is a stylish addition to your kitchen with its combined retro and modern look. This Red Chroma 2 slice toaster has a variable browning control which guarantees perfect toast, every time. The frozen and re-heat settings mean this toaster will cater for all occasions, and the removable crumb tray makes cleaning easier.